Car horns are blaring, crowds are cheering. Patriotic songs are being played through mega speakers as the generation’s latest set of heroes make their way from an open bus parade of the Ethiopian capital to Addis Ababa stadium. No, this isn’t a military victory rally, nor the reception commonly given to the national athletics team upon their return from the Olympics. This is June 2012, and the Ethiopian women’s national football team, also referred to as “Lucy,” are being honored by a nation after successfully qualifying for the 2012 Africa Women’s Football Championship. Twenty four teams had set out to reach the final tournament which would be held in Equatorial Guinea that year, and Ethiopia’s girls ensured that they would be among Africa’s eight elite present at the finals. In the days following their monumental achievement, the members of that legendary women’s team would be showered in cash prizes and accolades, as their heroic exploits lifted the spirits of a nation and were seen as the dawn of a new age in Ethiopian women’s football. Fast forward to the present, Ethiopian football fans are up in arms. A footballing disaster, an administrative blunder, has cost this generation of Ethiopia’s female footballers another chance to shine. 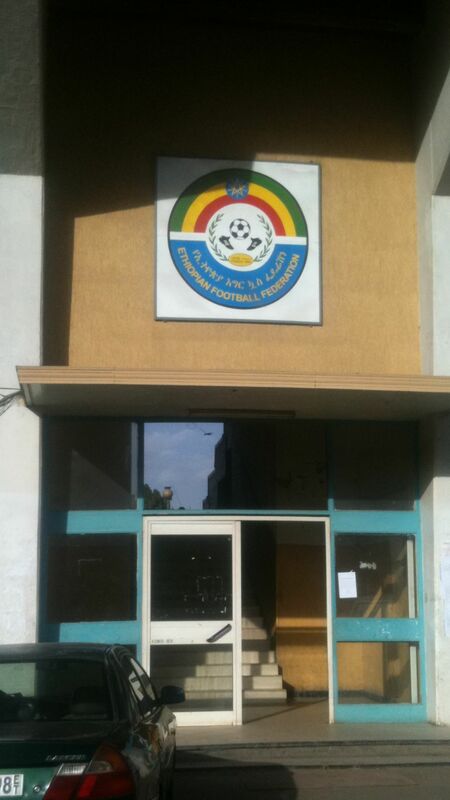 Due to the absentmindedness of the suits behind the closed doors of the Ethiopian football federation (EFF) whose opaque dealings and incompetent practices have long provoked the ire of Ethiopian football fans for as long as anyone can remember, Lucy looks set to being confined to roaming in the wilderness for at least three years. That is to say, without a kick of a ball, without a referee’s blow of the whistle, the Ethiopian women’s national football team have been excluded from the 2016 Africa Women’s Cup of Nations AND the 2016 Rio de Janeiro Olympic women’s football tournament. For those of you still scratching your heads not fully grasping exactly what went wrong here, the draw to sort out the first stages of qualification for the 2016 AFWCON went ahead as planned last week at CAF headquarters in Cairo, Egypt. However, Ethiopia wasn’t a part of the draw, apparently having forgotten the common procedure of sending a letter to CAF confirming Ethiopia’s desire to participate. Due to CAF receiving no letter of notification from the EFF, Ethiopia weren’t included in the draw and thus not included in the qualification process. EFF Public Relations head Wondimkun Alayu told Ethiopian football online magazine Soccer Ethiopia that Ethiopia “hadn’t received an invitation from CAF to take part in the tournament,” in what may go down as the most pathetic excuse ever given for an administrative howler this big. Since the 2016 AFWCON tournament doubles as a qualification tourney for the 2016 women’s Olympic football competition, Lucy finds herself dumped out of both contests simultaneously. Indeed, nothing short of a footballing disaster, as a described above. The EFF’s ineffectiveness as a national football body has long been noted by frustrated Ethiopian football fans. From the debacle of Minyahile Teshome’s playing a world cup qualifier despite being on two yellow cards, to the federation’s ignoring of a friendly invitation last year that could have seen Ethiopia play Colombia in Qatar, to their recent declaration that they would drop Walid Atta from the national team since the EFF didn’t have enough money to cover the player’s travel costs, the EFF administration have been responsible for one national humiliation after another. 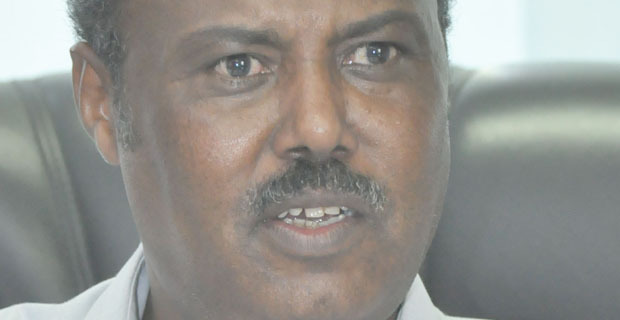 Long despised and constantly facing accusations of corruption, Ethiopian Premier League coaches and backroom staff have repeatedly called on a cleaning out process of the EFF, which would start with the dismissal of EFF President Junedine Beshah. But despite the EFF’s history of ineptitude, the blind eye turned towards the women’s game has turned the heads of many in recent years. It is a shame to see the progress made in improving the women’s game be needlessly stunted only on the heels of a total renaissance. Yes, around the same time the Ethiopian men’s national team completed their stunning return to footballing prominence by qualifying for the 2012 AFCON and nearly reaching the 2014 FIFA World Cup, the women’s national team reached the 2013 continental showpiece, and reached the final round of qualifying for the 2012 Olympic women’s football tournament held in London. Just as the Walyas fell 4-1 on aggregate to Nigeria in the final world cup playoff, Lucy also fell at the last hurdle to a 4-1 aggregate scoreline at the hands of South Africa. Ethiopia’s girls, who performed incredibly to almost reach the Olympics, put the heartbreak behind them and set off with Equatorial Guinea 2012 as a target. The likes of Rehima Zerga, Shitaye Sisay and Birtukan Gebrekristos made names for themselves and delighted a nation throughout the campaign to reach Africa’s senior women’s football competition for the first time in eight years. Under the guidance of coach Abraham Teklehaimanot, Ethiopia’s greatest ever female national team setup was produced. Among the most glorious and unforgettable days of Ethiopian women’s footballing history is Ethiopia’s second leg match of the preliminary qualification tie. 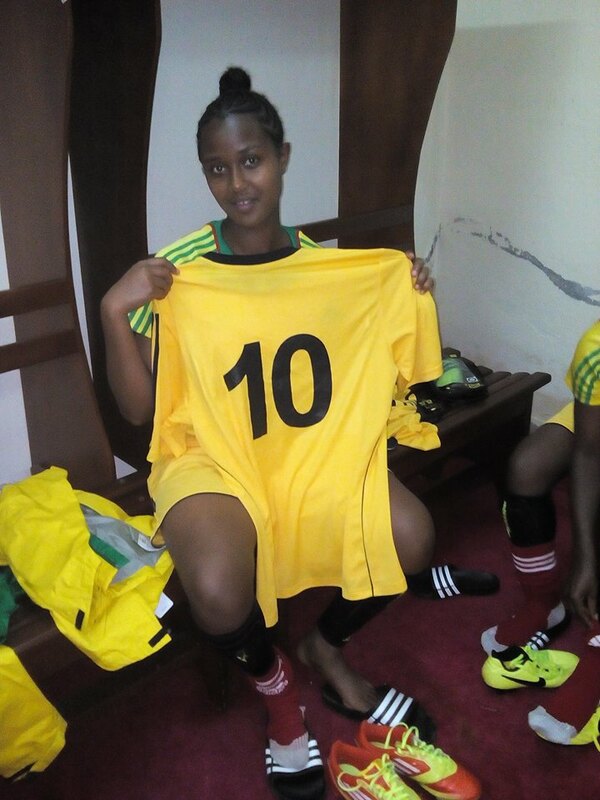 Playing in front of a packed Addis Ababa stadium, Ethiopia thrashed Egypt 4-0, Rehima Zerga, scored the first goal with a brilliant header leading the team to an emphatic victory. The stadium went wild as for the first time in Ethiopian history, it became impossible to distinguish between a sellout crowd at a men’s national team game and a sellout crowd at a game played by their female counterparts. The Sahlu Gebrewold led EFF administration then announced the creation of a women’s premier league the next season, and made it mandatory that all teams competing in the Ethiopian Premier League field a women’s team to participate in the inaugural campaign. 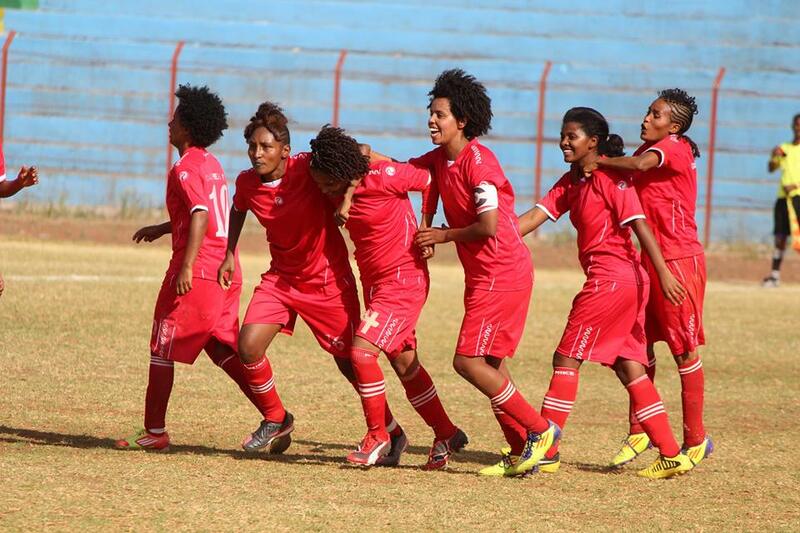 This saw the emergence of Ethiopian female professional footballers for the first time. Prior to this, the wages earned by the average female footballers were rudimentary at best. It seemed that women’s football could only go up. And for a while it did. Soared into the cosmos. 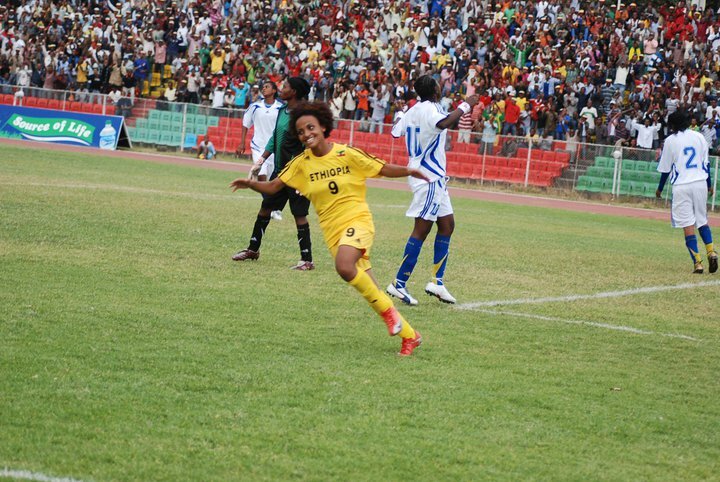 On June 16th 2012, a draw away to Tanzania would have sufficed, but Birtukan Gebrekristos’ 65th minute goal at Dar es Salaam’s National Stadium gave Ethiopia the 1-0 victory and booked them their tickets to the 2012 African Women’s Championship. Sadly, due to the failures of the national broadcasting corporations of both countries, footage of this game isn’t even known to exist! But the radio cast streaming across Ethiopia meant that the nation’s sporting community followed the action live up to the final whistle. Lucy returned from Tanzania as heroines, an inspiration to millions of girls across the country. It seemed like their accomplishments were contagious because four months after that fantastic day in Tanzania, their male counterparts, the Walyas defeated Sudan 2-0 at Addis Ababa stadium to also reach the African Cup of Nations. Having gained recognition as a sporting team worthy of national investment, the women’s national team were on the field that day, as both the male and female national team players celebrated in unison the fact that they were both international tournament bound. October 14th 2012 will live long in the memories of Ethiopians of this era. Things didn’t go so smooth in Equatorial Guinea, as Lucy finished bottom of her group, conceding eight goals and scoring none, although they did hold Cameroon to a scoreless draw in a brave performance that included a 88th minute penalty save by goalkeeper Dagmawit Bekele. Despite crashing out of the tournament, the optimism was still high and with the new, season long competitive premier league, the development of the women’s game got a much needed structural boost. Serious money was poured into the training of young prodigies by clubs, meaning the path to future tournament successes would be a much smoother one for the individual players, who wouldn’t have to face the same difficulties growing up as footballers that their older sisters did. Ethiopia’s women registered their highest ever FIFA ranking of 88th best in the world during this period. Ethiopian women’s domestic results started to get coverage on local television and radio. Among the lobbyists pushing for media coverage of women’s football in Ethiopia is renowned Ethiopian sports journalist Nura Emam. Nura spearheaded the effort to publicize the up and coming Ethiopian women’s Premier League, being a crucial reason why it is a relevant subject on the bulletins of sporting media outlets across the country. With no upcoming major tournament qualification campaigns, the Ethiopia women’s national team went the whole of 2013 without playing a single game, not even a friendly. A fact ignored by most Ethiopian football fans, due to the Walyas long run in the World Cup and CHAN qualifiers as well as their participation in the 2013 AFCON. 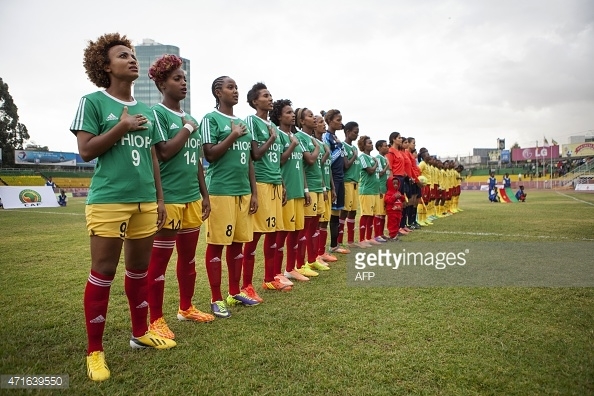 2015 saw Ethiopian women’s football make a noticeable u-turn from the down trot of recent years. The products of the new system, the starlets who blossomed in the aftermath of the 2012 Equatorial Guinea campaign, are making their mark as members of the Ethiopia U-20 women’s national team. Taking part in the qualification tournament attempting to reach the 2016 FIFA U-20 Women’s World Cup to be held in Papua New Guinea, Ethiopia’s starlets are attempting to make the cut as one of only two African sides which will travel to Oceania next year. In July of this year, the U-20 women’s team traveled to Cameroon in a first round match up. The resilient Ethiopians held on, preserving a 0-0 draw ahead of the second leg match at home which would be played two weeks later. While in Cameroon, a transportation problem meant that the scheduled flight to take the team back to Addis would be delayed indefinitely. Instead of booking another flight or finding arrangements of their own, the EFF took no action, apparently waiting for the Cameroonian FA to bail out the stranded Ethiopians. 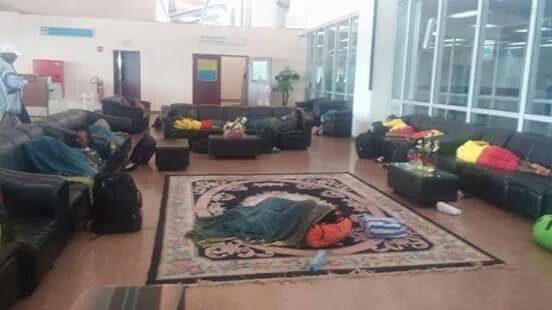 With nobody on both sides doing anything, the Ethiopian U-20 national team were forced to spend the night at the airport, without food or water, sleeping on the cramped quarters of the Yaounde Airport lobby. The next day, despite the EFF telling local media in Ethiopia that a return flight to Addis would be available, the team led by head coach Asrat Abate had to return to a hotel until travel accommodations were actually confirmed. The Cameroonian FA and government refused to intervene and solve what was by now a diplomatic incident. It was as if the issue no longer concerned them. After a day of this, the cries of fans in Ethiopia calling on the EFF to “bring back our girls,” became more and more vocal. After three days in limbo, the Ethiopian contingent arrived home exhausted and weary. Despite this, the EFF didn’t lodge a complaint with CAF over Cameroon’s complete turning of a blind eye to the Ethiopian U-20 women’s national team’s travel woes and uncomfortable experience. Perhaps out of an attempt to cover up his own total bungling up of the travel plans, Ethiopian football president Junedine Beshah refused to openly criticize the Cameroonians for their neglecting of their hosting duties. He also refused to take the blame and accept responsibility for the episode. It is highly disrespectful that a country’s national team, which according to CAF regulations is supposedly guaranteed diplomatic status while on international duty in a foreign country, is left to fend for itself with no assistance whatsoever. But the EFF’s refusal to stand up for these girls, the pride of our nation, might be setting a dangerous precedent. The message from the EFF here is that Ethiopian female footballers don’t require the diplomatic protection the rules suggest they do. What a way to devalue our own girls. Despite this, two weeks later a brace from Loza Abera gave Ethiopia a 2-1 victory over Cameroon at Bahr Dar Stadium, getting the sweetest of revenges and dumping them out of the running for U-20 world cup qualification. The Ethiopian women’s U-20 national team managed to then eliminate Burkina Faso with an aggregate 2-0 win, with Loza Abera once again the author of both goals. This left them closer than ever to becoming the first Ethiopian team since the Diego Garzitto led men’s U-20 team of 2001 to reach a world cup. Paired with Ghana for the final playoff round, they played the Black Queens on October 24th at Addis Ababa stadium, in a pulsating match-up that ended 2-2, and you guessed it, Loza scoring both goals for Ethiopia. She is at six goals and is the CAF qualification tournament’s top scorer. The Ethiopian women’s U-20 national team has departed Addis Ababa today for Ghana, where they will play the all too important return leg this Sunday in Accra. They require a win to qualify for the U-20 world cup. The pressure mounts, as the players have realized that this final do or die clash can change their lives forever. However, due to the amateurish mistakes of the officials at the EFF, this Sunday’s game carries much more importance than originally thought. If Ethiopia’s girls qualify for the women’s U-20 world cup, that will mean a whole new program for 2016, complete with investment, intense preparation, perhaps a friendly match or two, and the salivating prospects of playing against the best young women from around the globe in front of scouts from clubs and universities all across the world. Other than that, it is an achievement that would surpass that of the 2012 edition Lucy which steamrolled opponents throughout the qualifiers en route to reaching the African Women’s Championship. Carrying the Ethiopian flag into the international arena will be an emotional unforgettable moment for the girls, one that will go down in Ethiopian history. 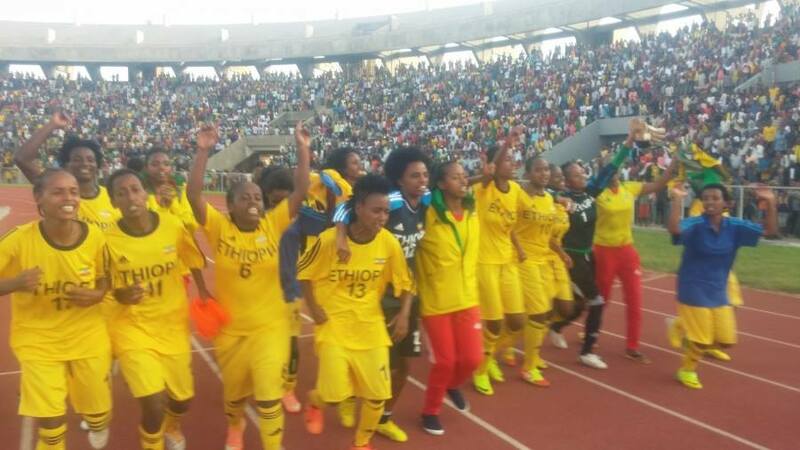 But if Ethiopia fails to come out on top this Sunday in Accra, not only will we miss out on Papua New Guinea 2016, the program for Ethiopian women’s football will come to an abrupt end for years to come. 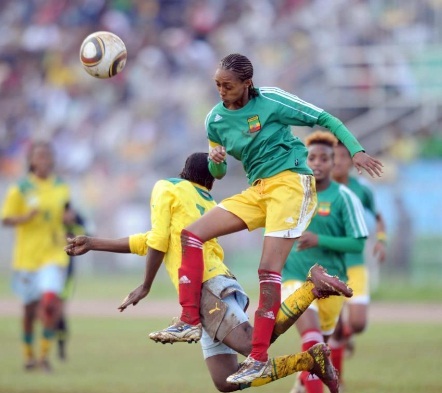 With the failure of Ethiopia’s footballing authorities to step up and send a required letter like the rest of the participating federations have done, Ethiopia would have nothing left to look forward to in terms of Ethiopian women’s international football. Out of the 2016 AFWCON and out of the 2016 Olympic football tournament, the next scheduled international competitions are the 2018 AFWCON tournament and the 2020 FIFA Women’s World Cup. Which means that Loza Abera and her team of promising prodigious female footballers, will have virtually no chances to build on their successful year, no opportunities to further their international development. These hardworking girls, who have trained their socks off, sweated liters of blood, sweat and tears to become the best our country has to offer, will be denied the opportunity of a lifetime, denied the childhood dream that is wearing the glorious green yellow and red tricolour jersey of their country, simply because the unqualified, unprofessional personnel at the helm of our nation’s football have the tiniest of attention spans. What a disgrace! Had this been the men’s national team, there would have been riots by now. If we are going to let the Junedine Beshah led Ethiopian football federation get away with obliterating the hopes and dreams of today’s female football stars, then not only the EFF, but we as a nation have also raised a giant middle finger in the direction of the women’s game. This would be nothing less than devaluing our women’s game, telling them to step aside, letting them know that they are once again, irrelevant and unimportant. What has transpired over the last few days is nothing short of a total disaster. Sunday could be the last time we see our girls lace up for national duty for a long time. There is no apologizing or making amends for this. Junedine Beshah, the man at the head of this organisation and his slack jawed underlings must step aside and resign now. Their irresponsibility has condemned our women’s international football to years of house arrest. This pathetic excuse for a football administration has the responsibility of explaining to the thousands if not hundreds of thousands of young aspiring Ethiopian female footballers all across the country playing from club to project to school levels that their dream of representing 90 million people in the near future is gone with the wind. The same wind that blew away the CAF “invitation letter” that EFF PR head Wondimkun Alayu claims he never received. We owe our thanks to the Ethiopian football federation, which has done a great deal to maintain Lucy’s status as a fossilized artifact of the past. But we are just going to see the cycle of opportunists and businessmen boss our football around unless we make some structural changes. How many ex footballers are attempting to head into football administration? How many coaches want to take a crack at the big posts? Why are people with football backgrounds being prevented from sharing their expertise at the top of the game? Yidnekachew Tessema is the only former federation boss I can think of who has been capped at senior international level, and coached the national team. Does that not speak a lot about who is controlling our game? If the current collection of stick figures at the EFF want to leave their posts without the rhetorical tarring and feathering that their predecessors received, they’d best apologize to the Ethiopian female footballing family and step down immediately before they drive our game into a minefield. Because if there’s one thing over the course of the past two and a half years that we have learned about the Junedine Beshah led administration, it’s that even when things look like they can’t get any worse, the EFF manages to outdo itself.